Follow along an Etsy Sellers, Lizardi Jewelry, transitioned into the manufacturing process and learn from their journey how it can benefit your business. If you already work in CAD, you can upload your files to our secure server and we will build your parts in our facility. We can also work with you to modify any of your existing files to add to your collection. After your CAD File is finished it is then sent to the 3D-Printer where a wax or resin prototype is built. At Carrera we house over 15x 3D-Printers at our Mid-Factory. Schedule a tour and check out the Carrera Team and learn about jewelry manufacturing. While CAD/CAM plays a dominant role in jewelry manufacturing, not every design calls for a CAD file to be created. Sometimes you might have an original master model that simply needs to be adjusted or repaired in some way. Our model makers are highly skilled metal-smiths that can create a new model from scratch or re-design an older model into a modern best seller. Many times the type of rubber that is used to cut your molds will greatly affect your finished product. That is why we offer many different types of molds, depending on your specific needs. We will always be available to help you choose which is best suited to your design. The quality of the wax is probably the most underrated part of the casting process. Any defects in the wax like distortion or internal air bubbles will dramatically affect the end results of your casting. Our mold cutters and wax injectors work very closely to insure that every mold is working perfectly to produce the finest wax possible. Every wax in our shop is inspected with a 10x loop. We work with several types of waxes including "carving wax". With the use of our vacuum wax injectors we are able to duplicate excellent results over and over. Is the sprue in the right position and the right size? What will be the best angle to attach the wax to the tree? What temperature will these pieces be cast at? All of this information is recorded so that next time you place an order for the same piece we can maintain consistency in our "Set-Up" process. Over the years, our casting technicians have worked with many designers and artists. We have an extensive 'library of knowledge' of how to cast almost any type of design. By the time we get to the actual casting part of the cycle much of the crucial work is already done. Just as if you were cooking a fine meal, much of the hard work takes place in the preparation. If we've done our job correctly in all of the previous steps then the casting process should go smoothly. We have worked with our metal suppliers to come up with exact casting parameters for all of our different metals. 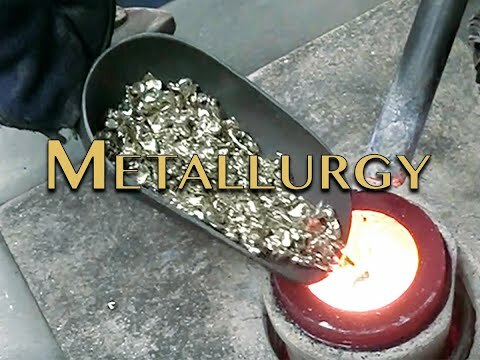 Whether you are casting in gold, platinum or silver we already have a specific digital program stored in our database that runs our casting equipment. The casting process in an overnight process. Once our trees are invested and properly cured, they are ready to go into our specially designed burnout ovens. Each oven has been delicately fine-tuned to give optimal results. Each oven runs on a digitally controlled program that was specifically written for each of the many different metals that we cast. We combine high ethical standards to optimal accuracy in the acquisition and processing of precious metals. All of Carrera's precious metals can be traced to accredited sources that are all verifiable eco-friendly. Please see our Environmental Policy for your convenience. Whether we are casting your product or your sending us an item to be assayed we provided you with the exact chemical composition breakdown for all materials present in your jewelry. We are finally near the end of the process. It is time to carefully remove the castings from the trees. It would be a shame to damage your casting after all of that work. We go to great lengths to assure that your pieces are not bent or accidentally nicked while cutting. If a large piece has a complex sprue system on it, we will remove it from the tree with a jewelers saw. At this point your casting will be matched up with an original image of your piece. Once it passes through quality assurance the remaining sprue is cut as close as possible. We don't want you buying more metal then is necessary. Carrera combines experience, employee training and dedication to ensuring the highest quality control standards in the jewelry casting industry. With more than four decades of operation, Carrera is able to produce incredible quality casting for any type of precious metal jewelry. Hand-in-hand with a finely tuned manufacturing process comes razor-sharp inspection of completed projects. Carrera's policy is to re-cast any defective piece and do whatever it takes to produce products to our customers' complete satisfaction. Carrera's state-of-the-art computerized order system uses bar code assignments to track orders from the moment we receive them - through every stage of production - and on through to shipping. In addition, information on your past orders is at your fingertips. an up-to-the minute open order tracking report. All shipments made from our facility are fully insured. FEDEX 2nd Day Air as well as industry-secure logistical services are available for your shipments.